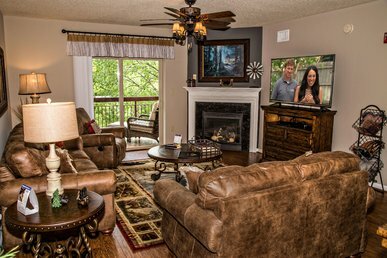 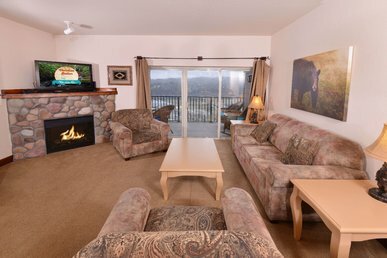 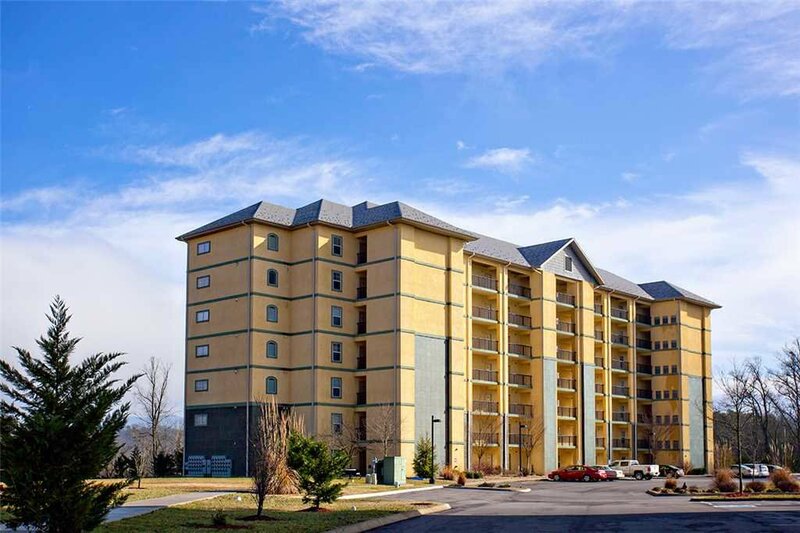 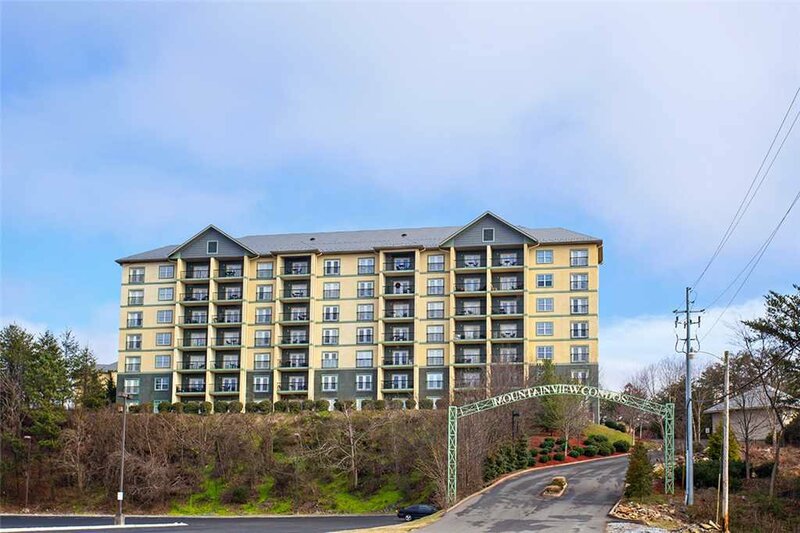 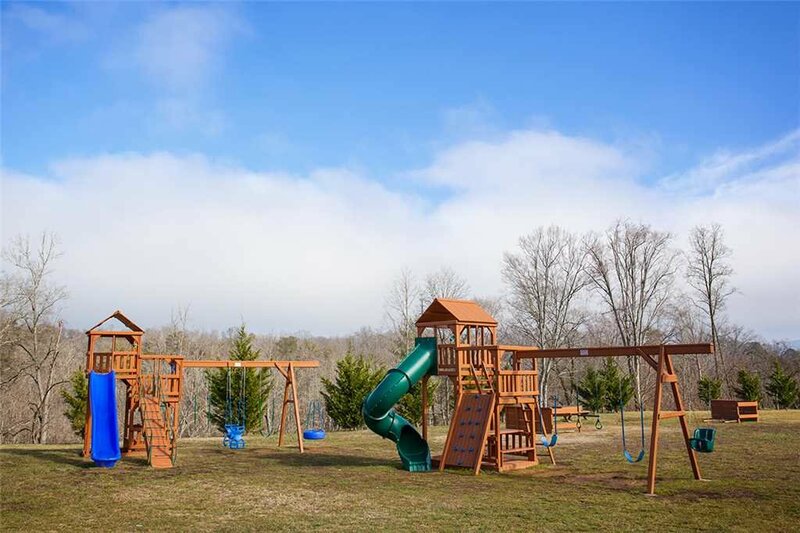 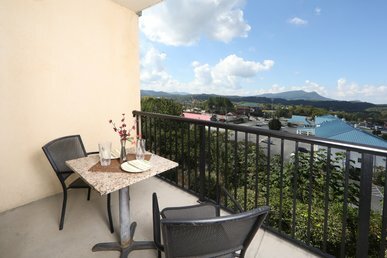 True to its name, Mountain View Condos in Pigeon Forge offer mountain views from every condo unit. 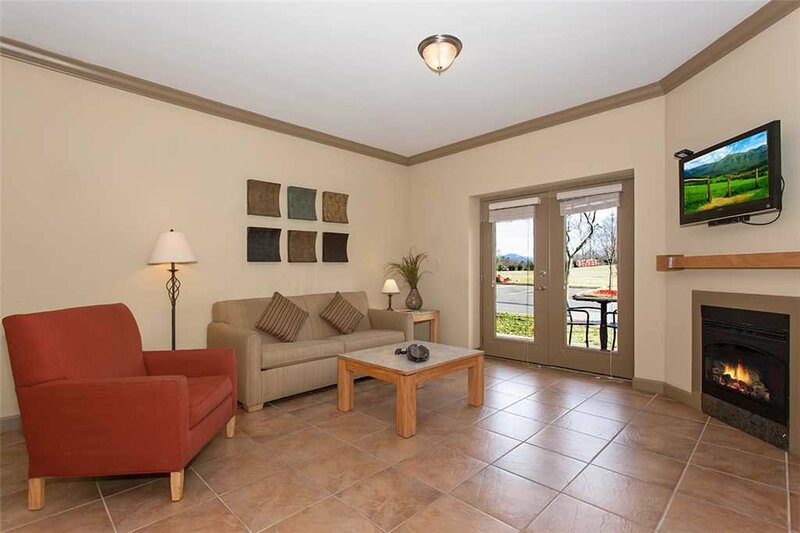 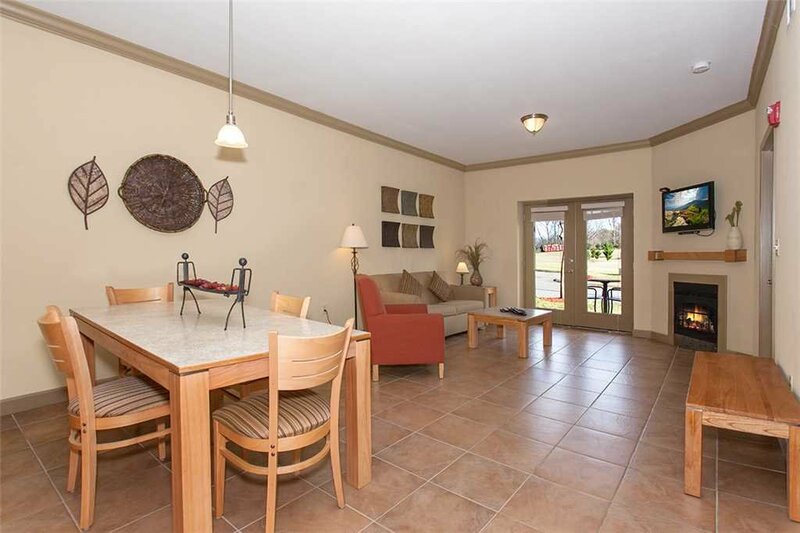 French doors lead to a private balcony or patio from both the living room and master bedroom. 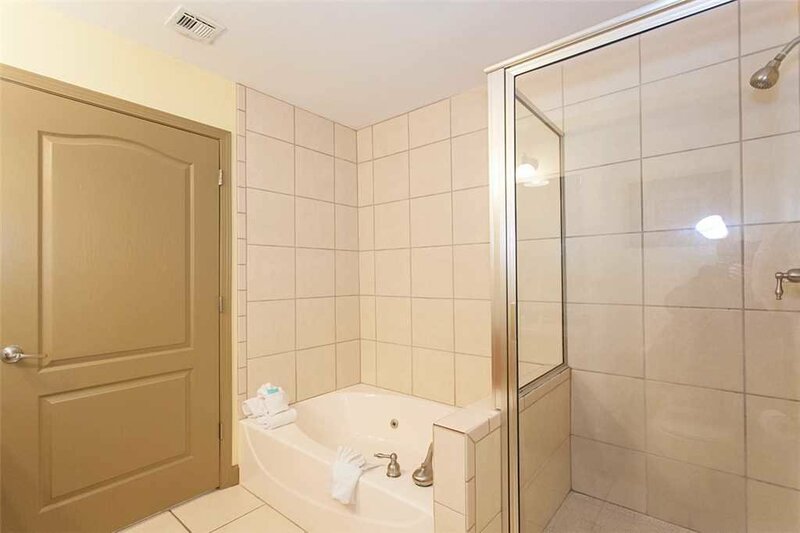 The main master suite features a king-size bed plus a bath with a luxurious Jacuzzi tub and steam shower. 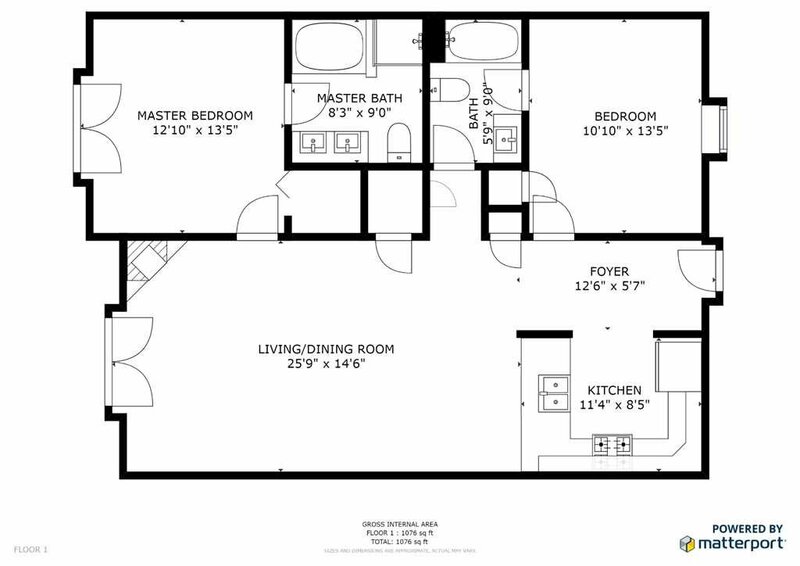 The second master suite has a queen-sized bed plus a bath. 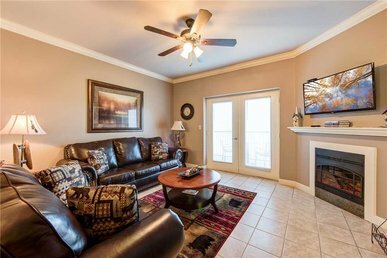 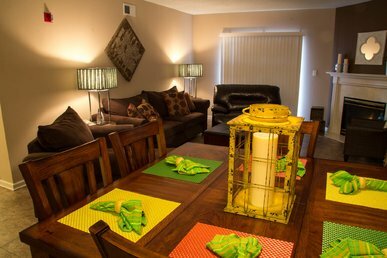 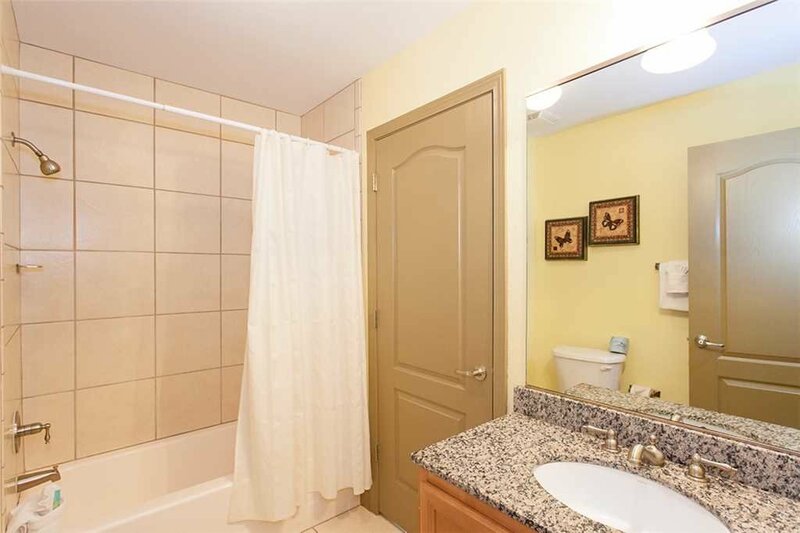 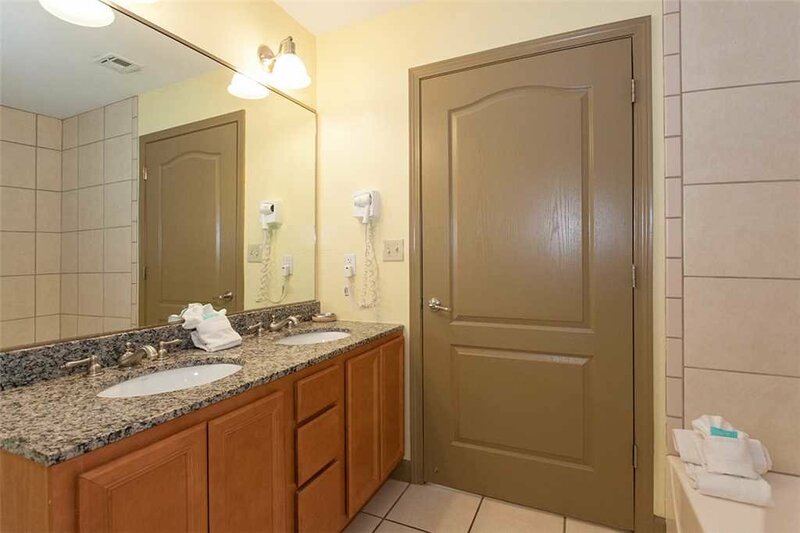 The stylishly decorated condos offer an electric fireplace in the living room, granite counters in the kitchen and bath, and tile floors throughout the kitchen, baths and living area. 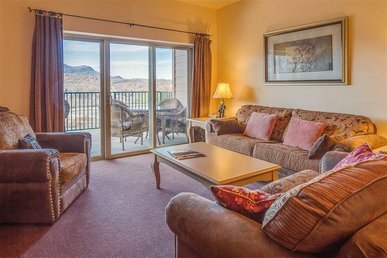 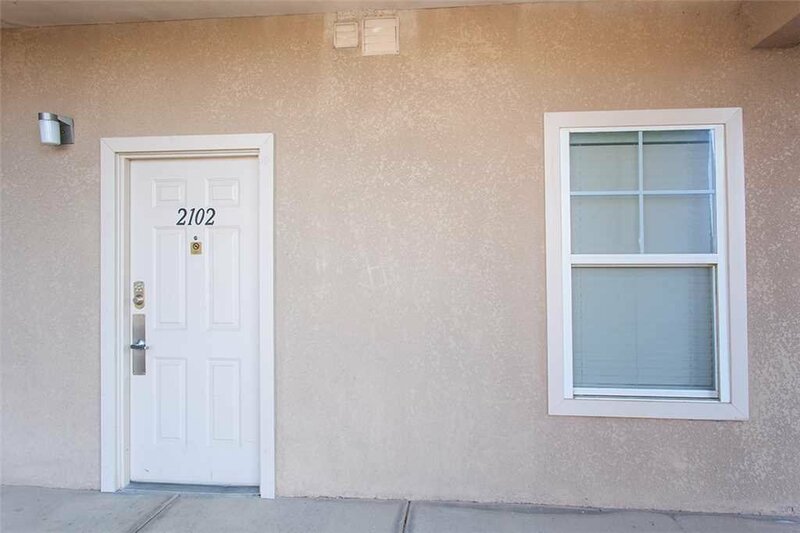 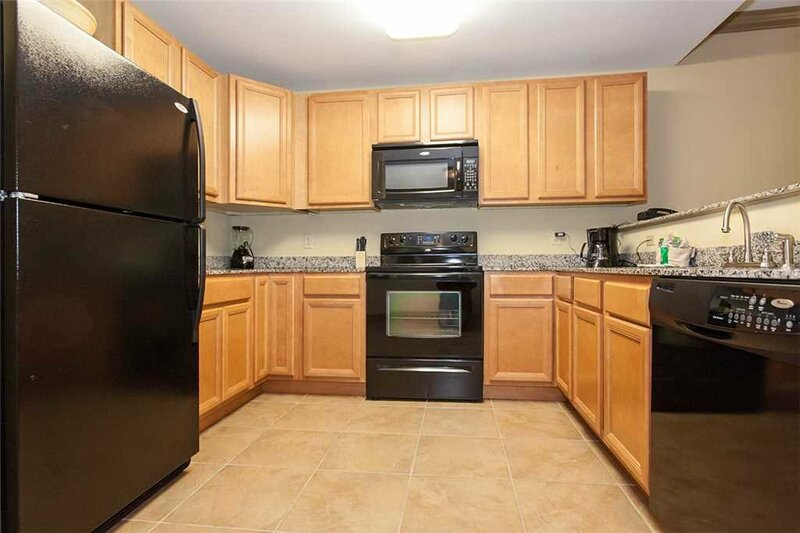 In addition to luxurious in-unit amenities, Mountain View Condos offer conveniences such as a full kitchen, high-speed Internet access, central heat and air, and a washer and dryer in each condo. 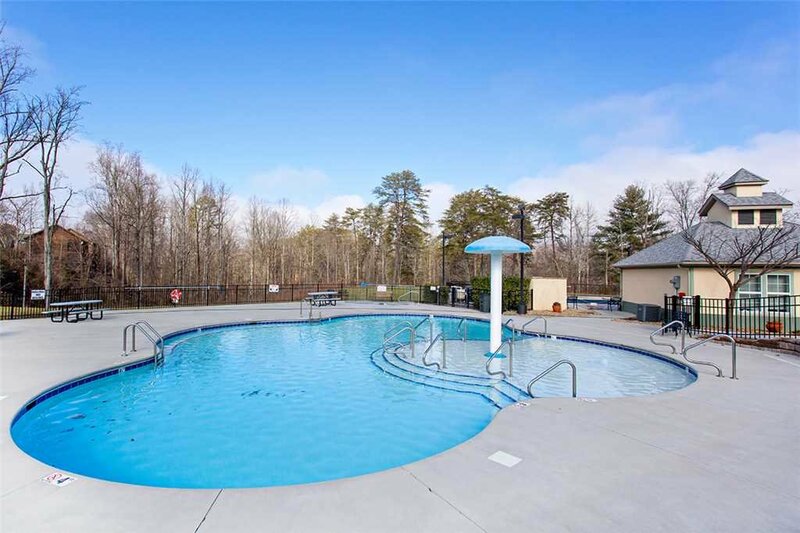 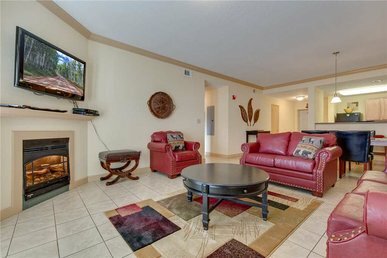 The complex also has Year Round Indoor Pool and a seasonal outdoor swimming pool and hot tub; please check the unit description and details, or speak with a Reservations Specialist, to confirm whether your condo rental includes access to complex amenities. 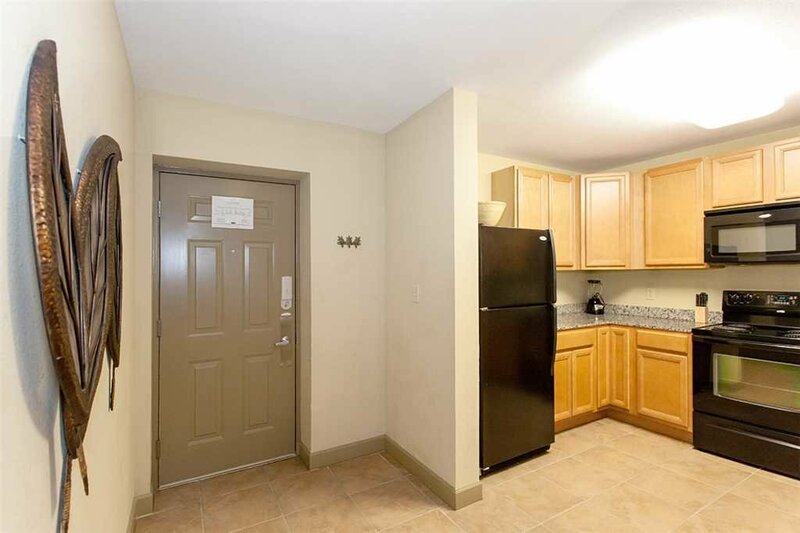 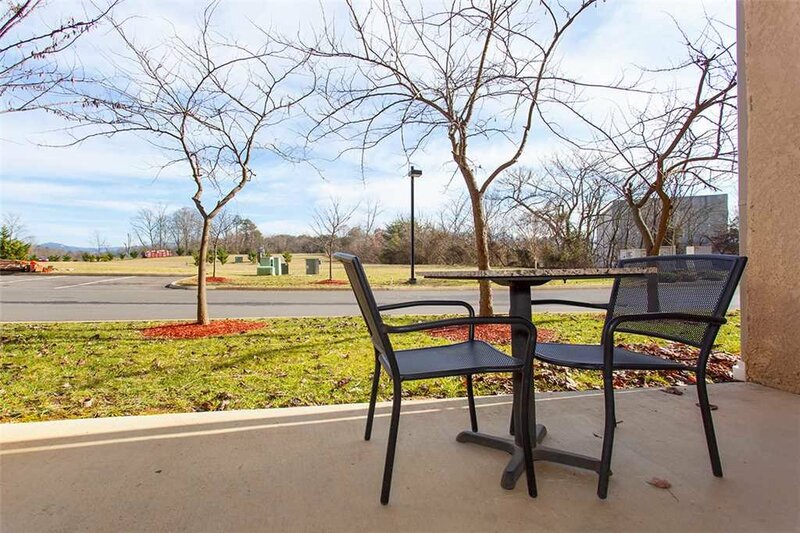 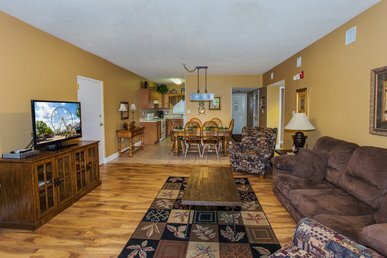 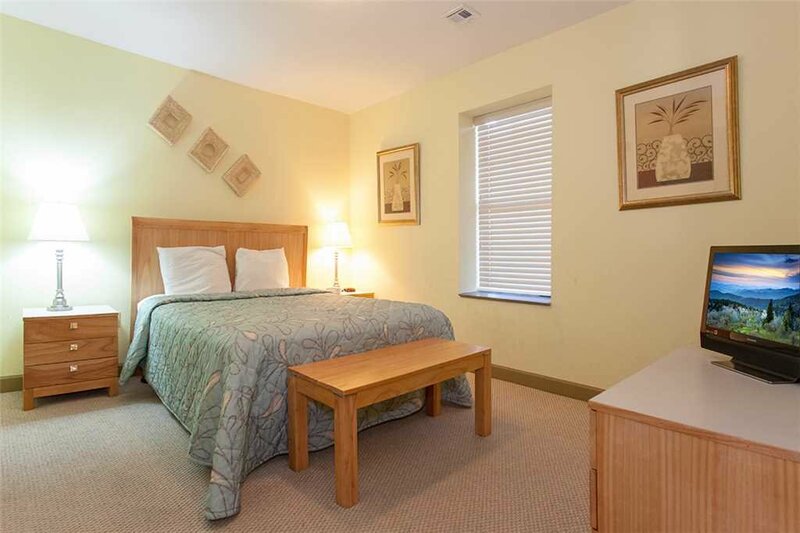 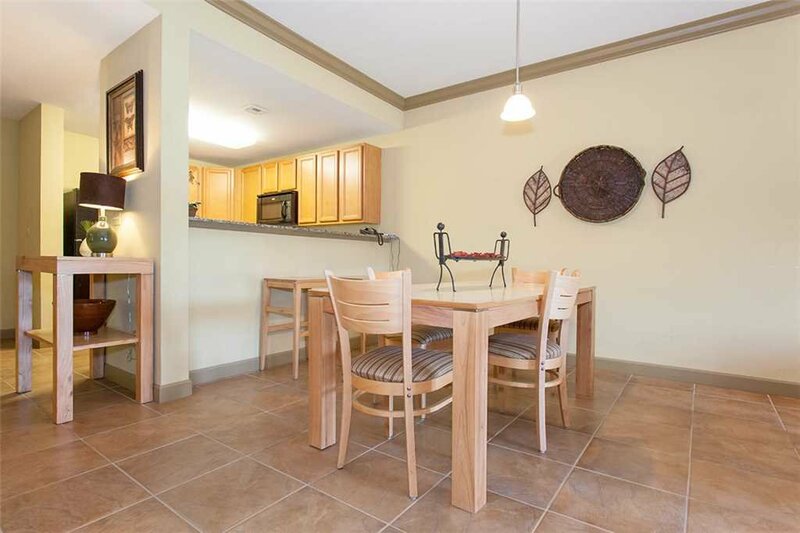 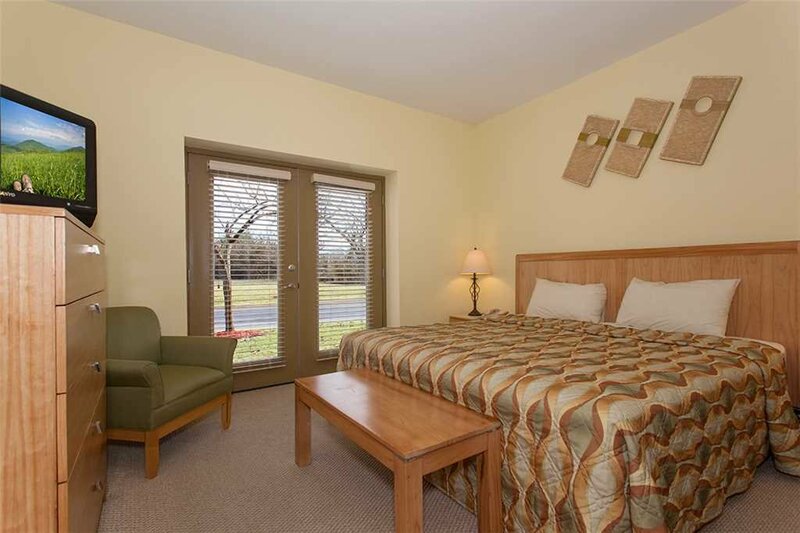 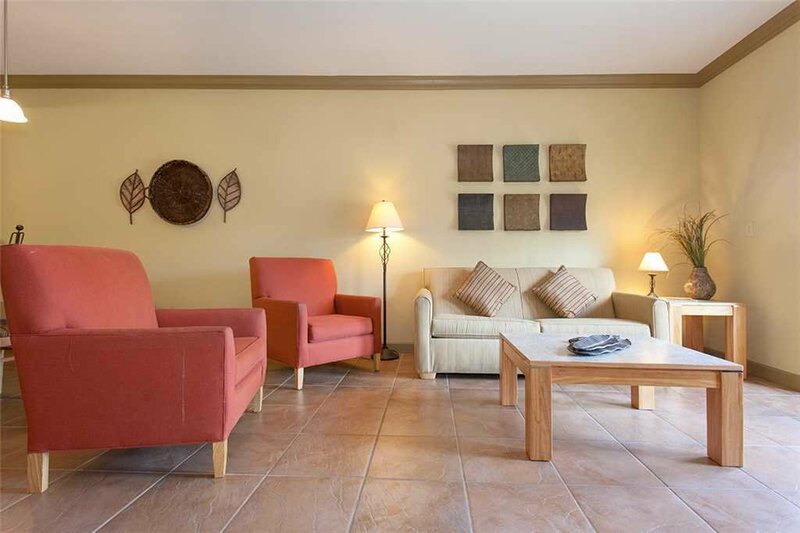 Located between Traffic Lights #1 and #2 in Pigeon Forge, accommodations at Mountain View Condos are close to outlet shopping and walking distance to The Parkway.